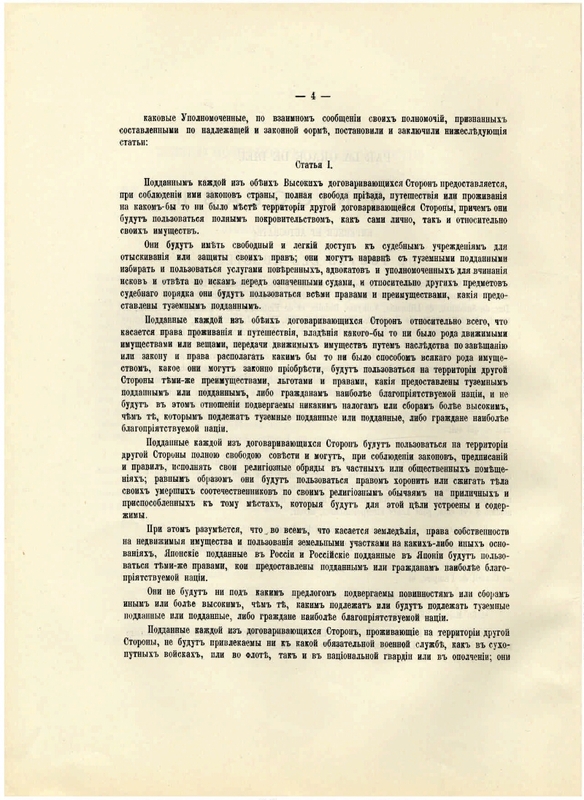 Home / The Trade and Navigation Treaty concluded between Russia and Japan on July 15/28, 1907. 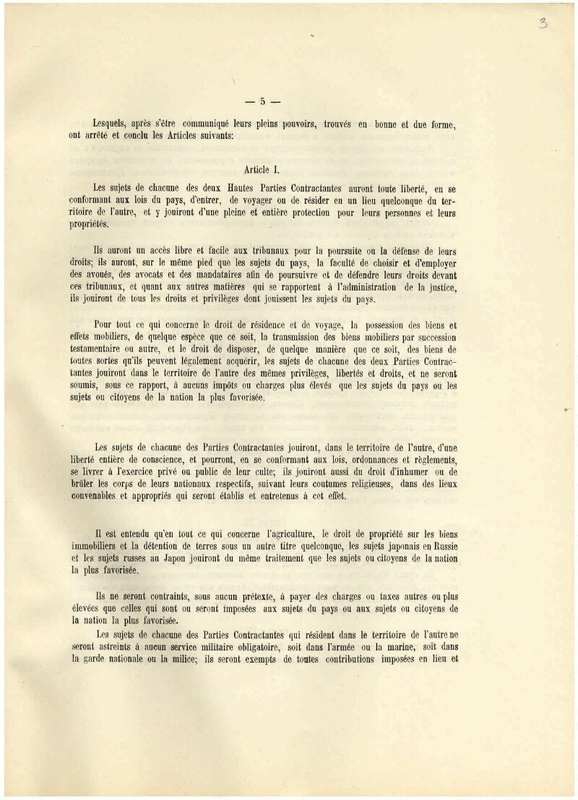 The text of the par. on rus. and fr. On the region: Published in No. 134 of the department. I Coll. uzak. and spacers. Ruling. for 1907, art. 1084. 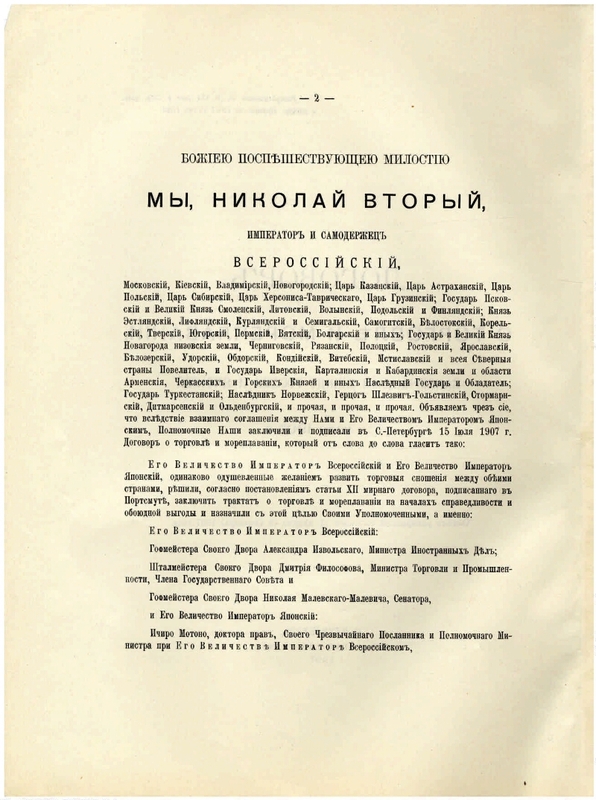 Document from the Foreign Policy Archive of the Russian Empire: a hard copy of the Treaty . I. Japan. Contracts. II. Russia. Ministry of Foreign Affairs. The State and St. Petersburg Main Archives. 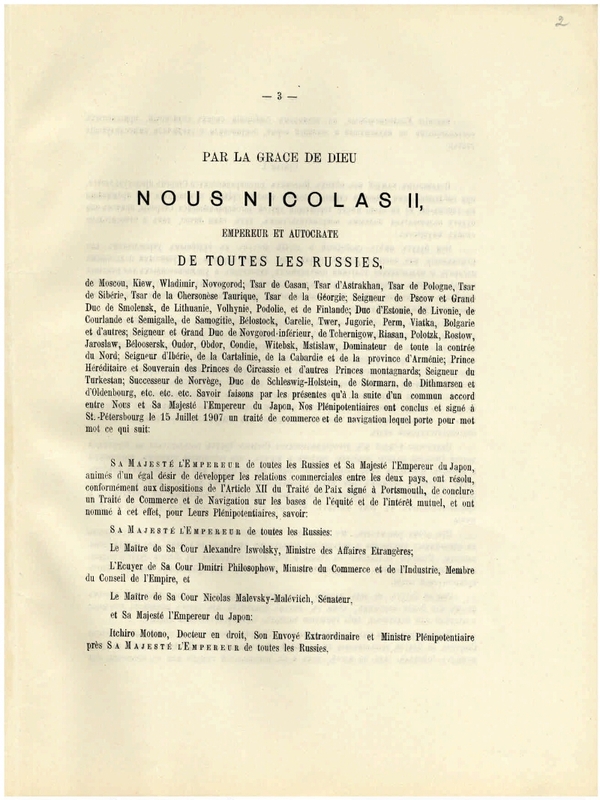 Russia and the countries of the world (collection). 2. 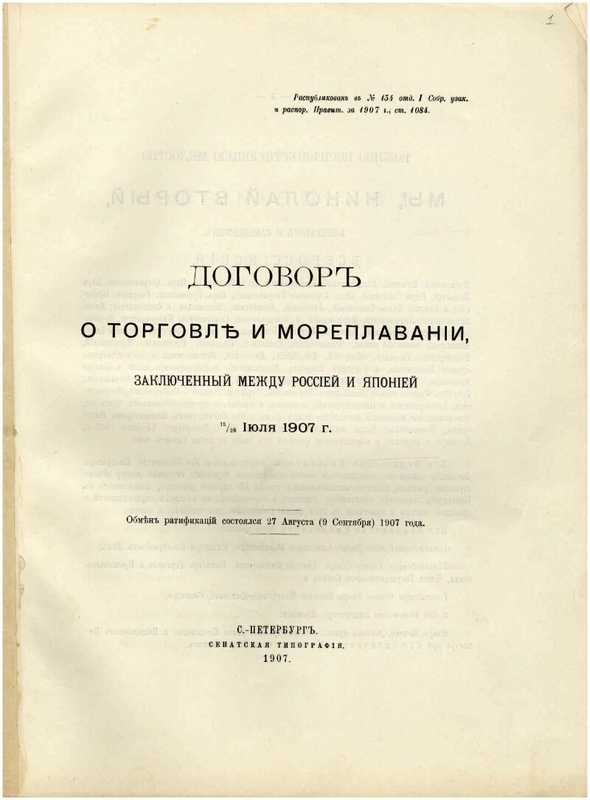 The Russian state and economy (collection). 3. Russia - Foreign trade - Japan - 19 - beginning. 20 centuries. - International treaties. 4. Japan - Foreign trade - Russia - 19 - beginning. 20 centuries. - International agreements.